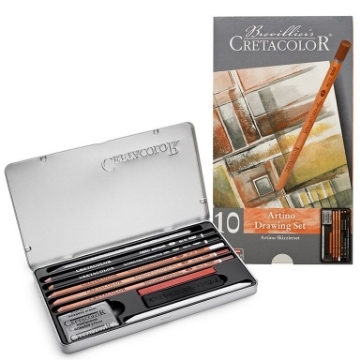 Cretacolor Artino Drawing Set is used for basic drawing and sketching. The artists quality pencils are with full pigmentation and a high lightfastness rating. Ideal for drawing, sketching and smudging with a paper stump. Cretacolor black pastel leads are best for when precise control is needed. These leads are used for sketching and drawing. Cretacolor Charcoal leads are best for when precise control is needed, These leads are used for sketching and drawing.